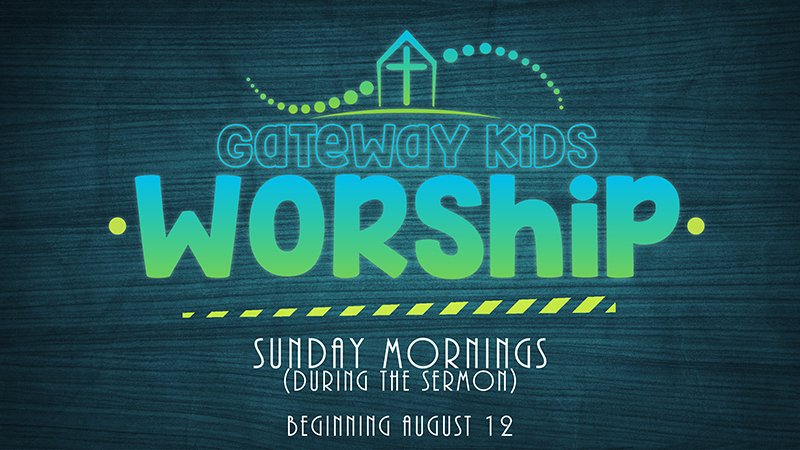 Gateway's Kids Ministry exists to come alongside parents in teaching children the Word of God. We believe parents are the ones primarily responsible for the spiritual instruction of their children. However, we love joining parents in this journey as a community of believers. Molly Moore is Gateway's children's ministry director. 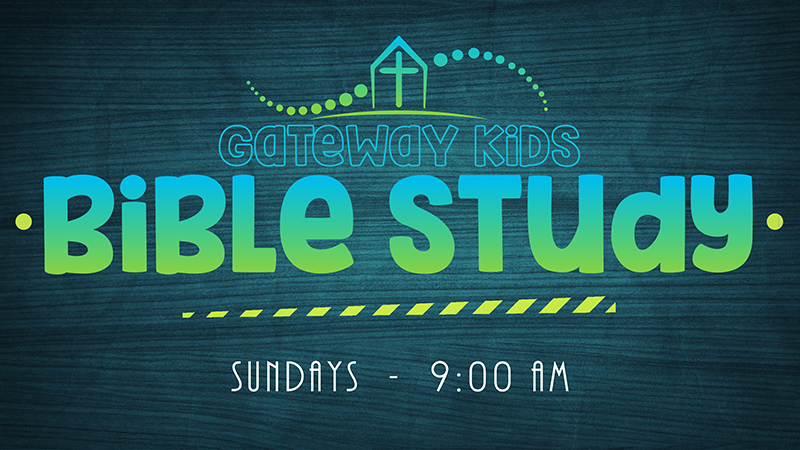 Kids Bible Study ~ Sundays, 9 a.m.
Gateway offers Kids Bible Study (Sunday School) classes for kids of all ages. In these classes, children get personalized attention from their teachers while learning deep truths about God and His world. Children in grades 1-6 also spend time each week learning some of the great songs of the faith, and regularly get to sing those in the weekly worship gathering. Kids Club ~ Wednesdays, 6 p.m.
On Wednesday evening, our kindergarten through 6th graders have Kids Club, an evening with big group time, recreation, snacks, and small groups. Big group includes a fun kick-off time with song and drams. Small group time helps the children apply the truths they are learning to their daily lives. Our Wednesday night teaching comes from The Gospel Project for Kids to help them see the entire redemptive story of the Bible. A separate preschool class is available during this time as the younger children do similar things. Child care is provided for babies and toddlers. During the last half of the morning worship service, our children in grades 1-4 are invited to participate in "Kids Worship." On Sunday mornings, parents pick up their children from their Bible study classes so their children can participate in the first half of the worship service with their parents. We desire for families to sing together and celebrate together important events like baptisms and baby dedications. Just prior to the sermon, the children are dismissed for "Kids Worship." Through games, songs, and a Bible lesson from one of our teachers, the children continue to grow in their understanding of God's Word. In addition, every week we provide child care for birth through age 5 during the worship service. Paid and volunteer workers help take care of our youngest during church services and events. However, you are welcome to keep your children with you in the service. Children are a blessing, and a little noise from our little ones is not a problem! 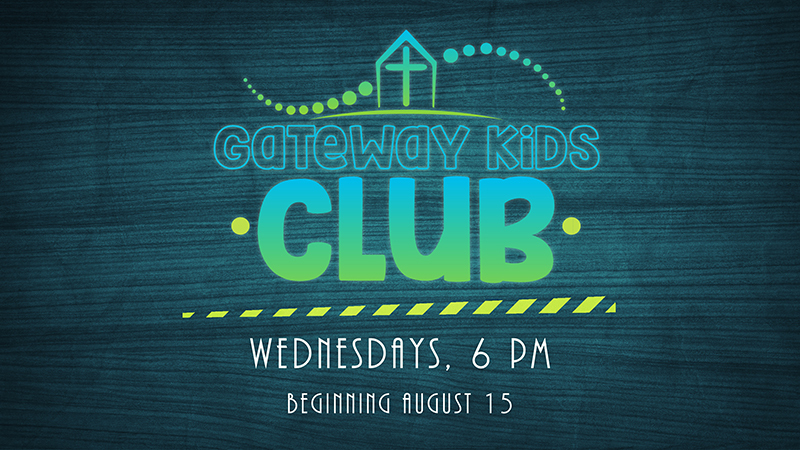 Gateway provides child-care for some of our Life Groups to facilitate the adults being able to go deeper in community, Bible study, and prayer. We see child care not just as baby sitting, but as an opportunity to join you in loving your kids, teaching them about God, and helping them have fun and build great memories being at church events and the church campus. Children ages 2-5 and their parents are invited to our new early childhood co-op, a fun time of learning, Bible study, and play on Thursdays mornings.